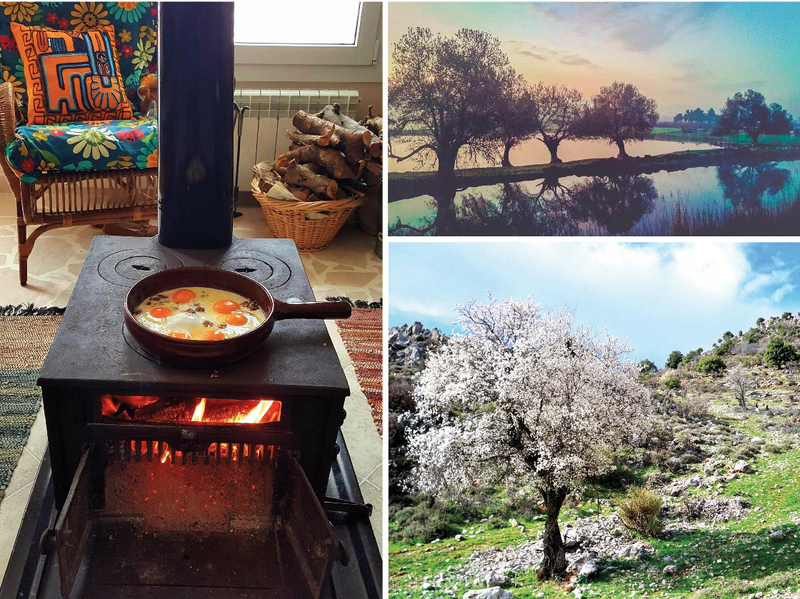 Beyond’s very own contributing writer and photographer, Yousra Bustros, tells us about the lush pastoral region of the West Bekaa Valley. Set on the foothills of Mount Barouk overlooking Qaraoun Lake, the charming village of Kherbet Kanafar is ideal for hiking, with plenty of mouthwatering local delicacies with which to reward oneself after a workout. When did you move to the Bekaa Valley, and to which part did you move precisely? The Bekaa region is divided into three constituencies where the nature and landscapes differ: the North Bekaa, the Central Bekaa, and the West Bekaa. I started by coming to Kherbet Kanafar in West Bekaa to spend the weekends seven years ago. Normally, I live in Kesrouan on the coast, and I knew the area as a visitor coming for social and family gatherings without having had the time to discover it in depth. 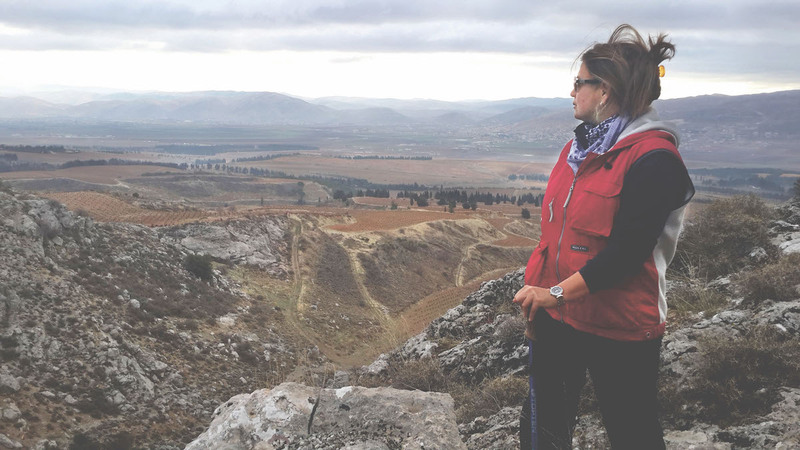 Being a lover of hiking and photography I knew many parts of Lebanon, but I had never had the opportunity to travel and explore the trails of the West Bekaa. Today, I spend most of my time here. The nature must be spectacular in this part of Lebanon, right? 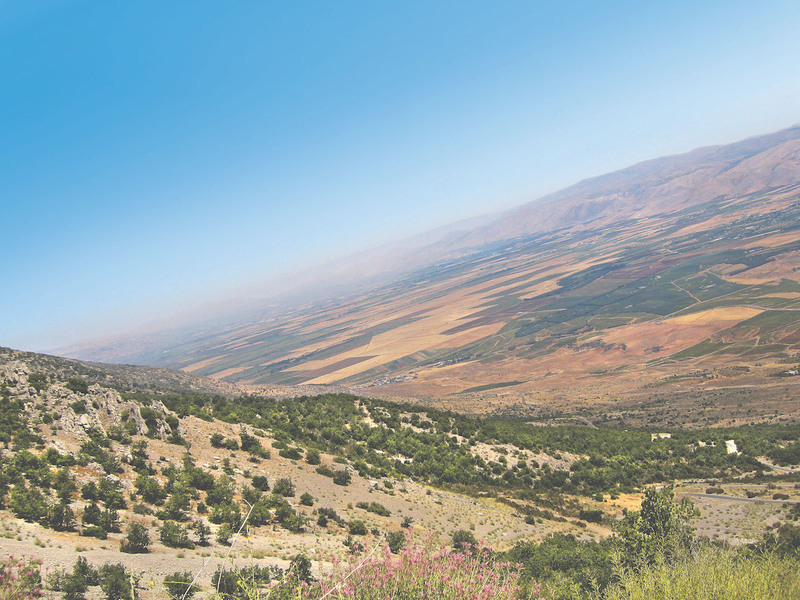 Spectacular is the right description of the West Bekaa, which is much greener than other parts of Bekaa. Nothing irritates me as much as when I hear people who come to us say: “How beautiful! We don’t believe we are in Lebanon! “. There are many regions in this country that are magnificent and must be preserved at all costs, because land and roots are the only real assets that we will be passing on to the next generation. Like looking out to sea or to the desert, the opening of the horizon to the West Bekaa gives an impression of infinity, which is breathtaking. This area is rich with fertile agricultural plains, as well as the verdant mountains of Mount Lebanon, which border the plains on its western flank and the majestic Mount Hermon to the east. Hence the richness and contrasts of the landscapes gives this beautiful region of Lebanon its unique character. Also the four seasons are perfectly defined, so the landscape of the Bekaa offers rich and new colors every few months. The idea came to me one day after inviting friends from Beirut to hike with us and enjoy breakfast on the terrace made with local products. When I noticed their joy and enthusiasm it really got me thinking about how to take it further. I’ve been out of the workforce for three years now; if I wanted to work again it would be impossible for me to be confined to an office with a fixed schedule. I believe that the West Bekaa region has enormous potential in eco-tourism and that it is necessary to do everything to preserve the nature and to safeguard its beauty. Having been drawn to its charm myself, I felt obliged to defend and promote this area. I will be starting these hiking-walk groups for 10-12 people and announcing the date on Facebook and Instagram and through word of mouth. The walks – which are moderate in level – will start at 8:30 a.m. and last for two to three hours. On the way back, a breakfast will be served to the hikers at my home with products from the region. We dine on the terrace if it is a warm day or in my garden room around the wood stove if it is cool. 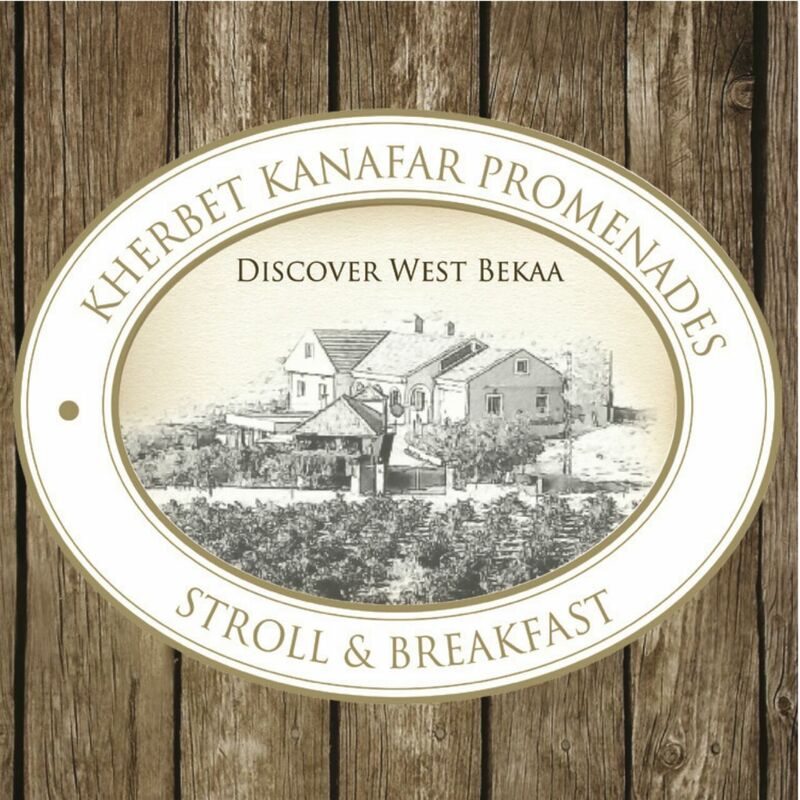 The project is called Kherbet Kanafar Promenades (Kherbet Kanafar Walks) because the hiking starting point will often start from our home in Kherbet Kanafar. In addition, I use the word “walk” because it is not really a strenuous hike but more of a beautiful walk that will allow nature lovers to discover the region at a reasonable pace. I will limit the number of people to create an intimate group where it feels like walking with friends and also so that the walkers can enjoy the homemade breakfast afterwards. I won’t try to compete with hiking clubs and even less with restaurants. My concept is very niche, focusing on personalization and authenticity. For those interested, I will also organize walks with breakfast by appointment. What are the special areas to see on a hike? The area is rich in trails and paths suitable for hiking – mainly farm roads or goat paths. For medium level hikes the mountains overlooking the plains are the ideal place. For easier hikes the plains, rich in vineyards and orchards, are beautiful especially in spring when the orchards are in bloom. There is the Aamiq Reserve, a breathtaking wetland with diverse flora and fauna that is recognized by UNESCO as a biosphere reserve and classified by the Ramsar Convention, which aims to prevent the degradation of wetlands in the world. 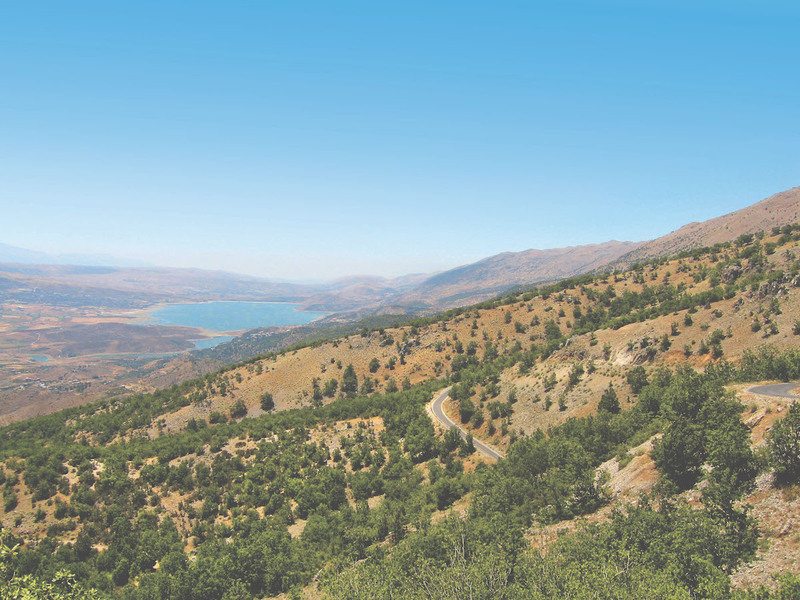 Higher on the Barouk Mountain that overlooks the West Bekaa is also the natural reserve of Cedars of the Chouf. To get the best panoramic view, where would you go? Without a doubt it is the mountains that overlook the plains, with breathtaking views of the vineyards, Lake Qaroun, and Mount Hermon. From the plains, the view of the majestic chain of Mount Lebanon is also magnificent. What are the local delicacies for which this area is famous? The Bekaa is renowned for kechek, labneh, and laban from cows and goats. The region offers a very wide range of delicacies such as kechek, qawarma, fig jams, pumpkins, quinces and apricots, peaches and apricots in syrup (compotes), tomato concentrate or tomatoes cut into jars, apple and grape vinegar, frikeh, burghul (cracked wheat), lentils, vegetables pressed in vinegar (kabiss), dried fruits, mixtures of herbal teas, aromatic herbs, syrups of blackberries, and many more. Tell us about your other project to promote the local delicacies. In September 2017, either on the third or fourth weekend, I plan to do an open house at my West Bekaa home. People can spend a beautiful day in a charming setting while buying their delicacies, fruits and vegetables of the season from the farmers, while tasting manaqish, all kinds of saj savories and discovering local wines. They may also see local paintings, sculptures, photography and so forth. I’ll be posting the details closer to the date. How do you get to this area from Beirut? Kherbet Kanafar is 55 kilometers from Beirut and is accessible from the road to Damascus by turning off at the entrance of Chtaura to the right towards the West Bekaa. For residents of Jbeil, Kesrouan and Metn I advise them to take the road to Tarchich-Zahle, which is very beautiful (with less trucks) especially during the week. Typically on Sunday mornings the roads are much less congested and the journey from Beirut should not take much more than an hour. Are there any recommended spots to see in West Bekaa? Coming to the West Bekaa and not discovering the vineyards and tasting the wines is like going to Paris and not visiting the Eiffel Tower! But this is also planned in the programs of Kherbet Kanafar (Kherbet Kanafar Promenades).